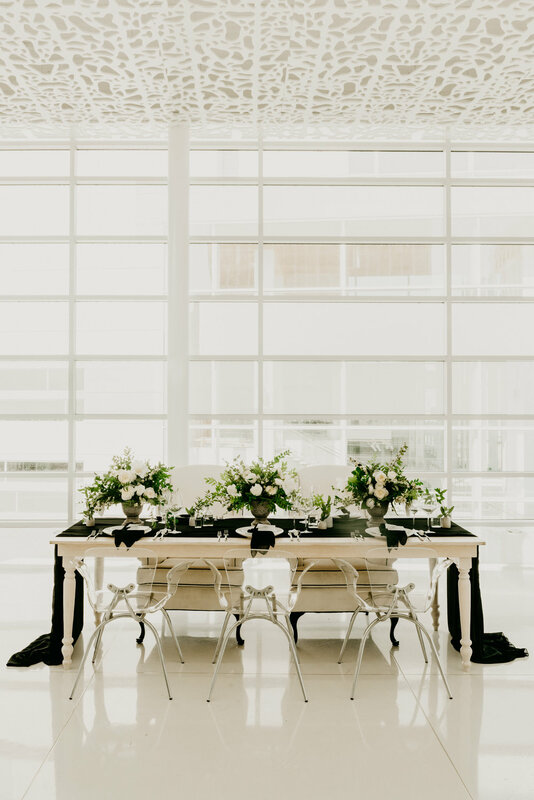 Over the summer I received one of the most exciting emails EVER from the very talented Ashley Kuehnel, owner and executive planner for Midwestern Bride. Ashley was reaching out to see if I would be interested in collaborating for an upcoming feature in the Wisconsin Bride Magazine. When I first read this email, I was so freaking exciting and nervous at the same time. It is a huge honor to be noticed for the type of work I do, especially being self-taught in this industry. When I first started my Etsy shop I never would have thought that just a few short years later, that brides, wedding planners, and other small businesses would be contacting me to create unique pieces for their events. I believe Ashley and her teams style/work speaks for itself in that they make one hell of team. No doubt did they put together one of the most gorgeous styled shoots ever! I truly hope I have the honor to work with this dream team again soon! When I first saw these pictures in the January issue of Wisconsin Bride Magazine, I literally could not stop smiling and I could not believe that was my work was on one full page of the 6 page spread. Someone pinch me this can't be real life!! Jk. But in all seriousness, even though I knew this was going to be featured, its still seems to surreal to see it all come together. Like seriously, these ladies thought of every little. 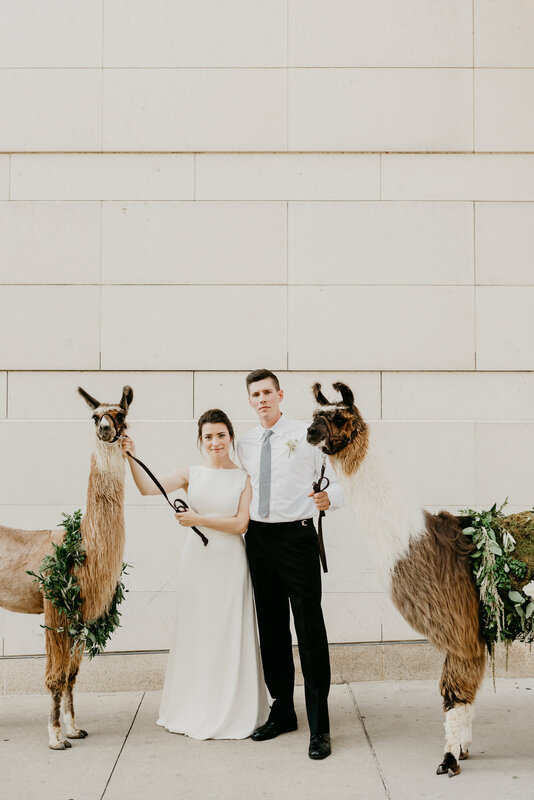 The flowers, decor, color, and I mean come on these llamas are so spot on for this shoot! Let's be real here, I think these two love llamas stole the show here!! Thank you to all the creatives that made this gorgeous shoot possible! 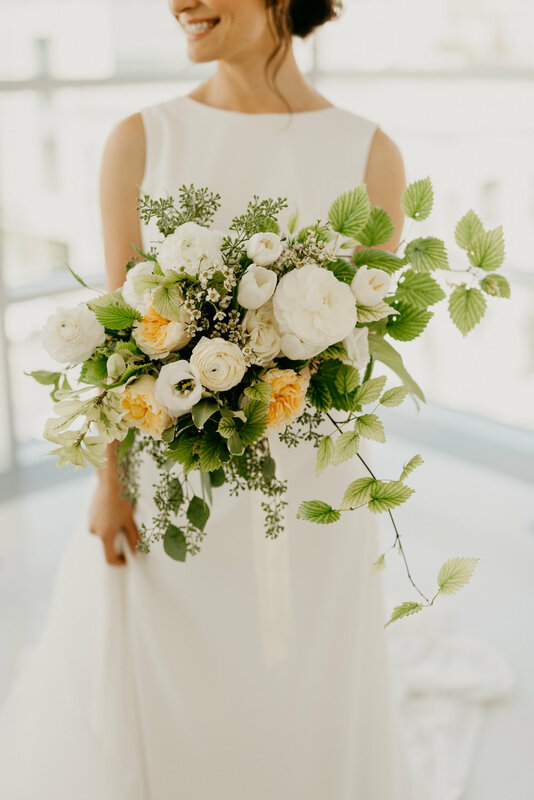 See more from this styled shoot here!